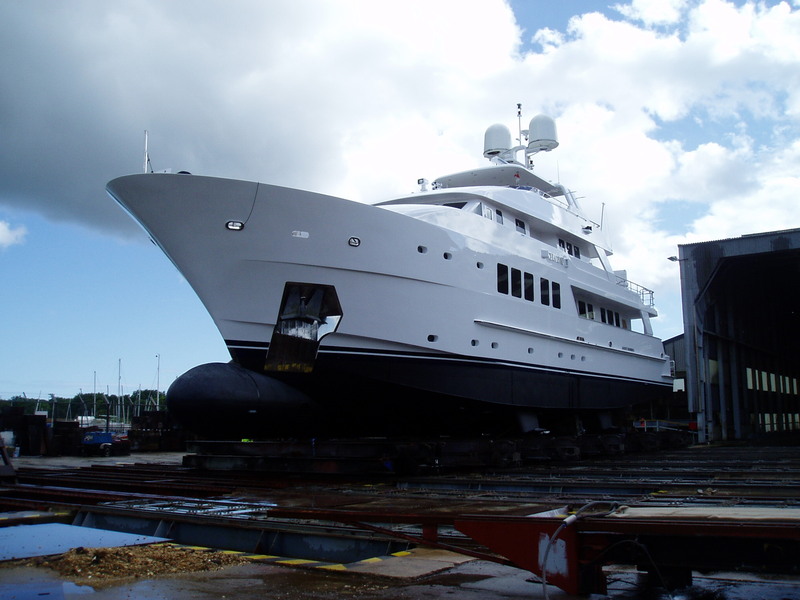 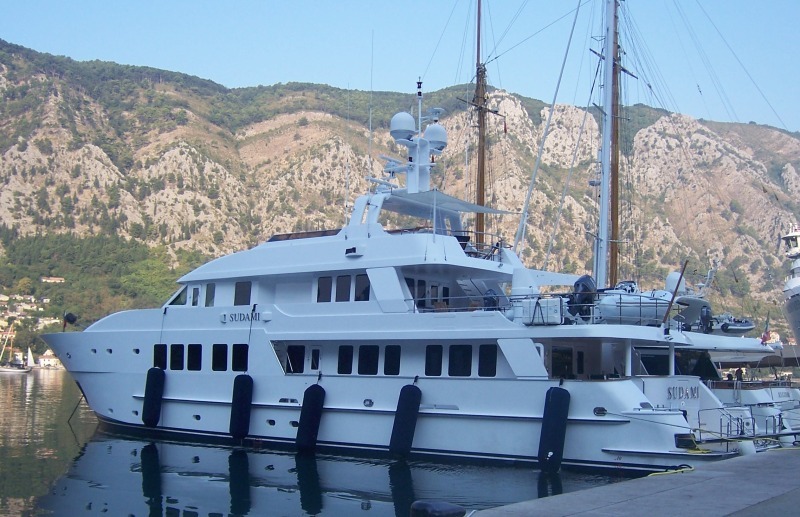 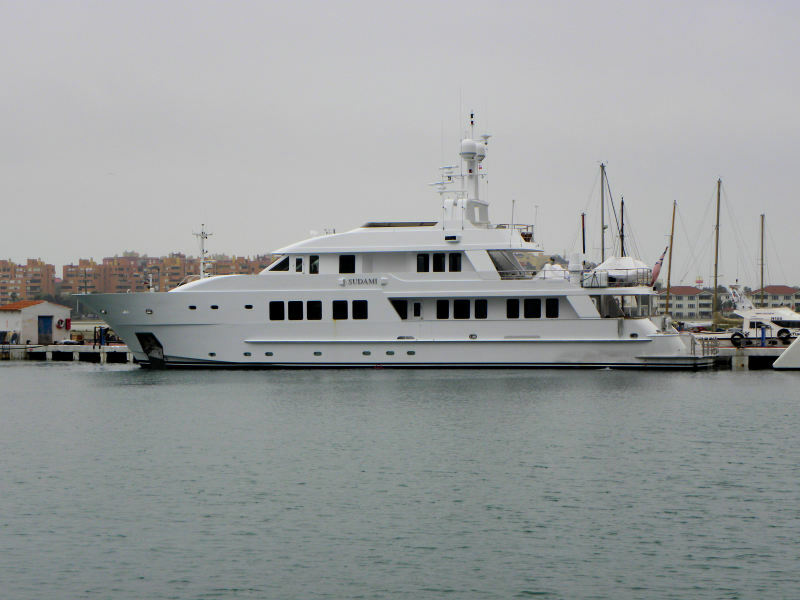 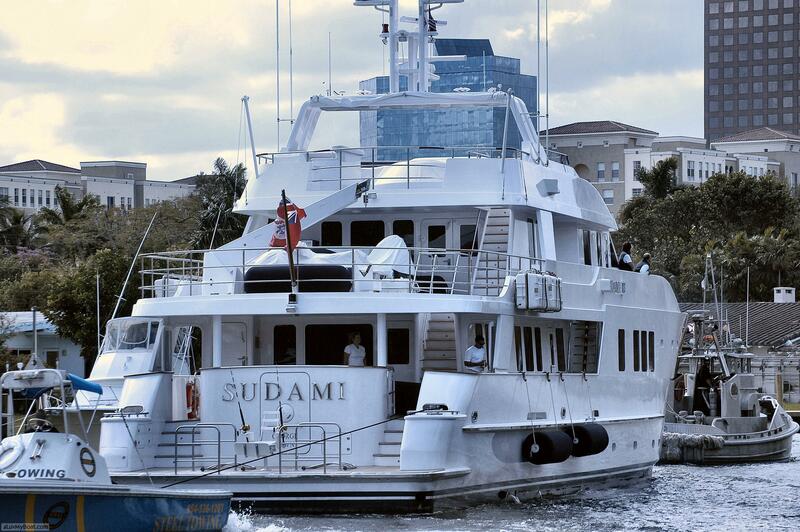 Motor yacht SUDUMI is an Inace built 34m (111' 6") steel displacement motor yacht as launched in 2007. 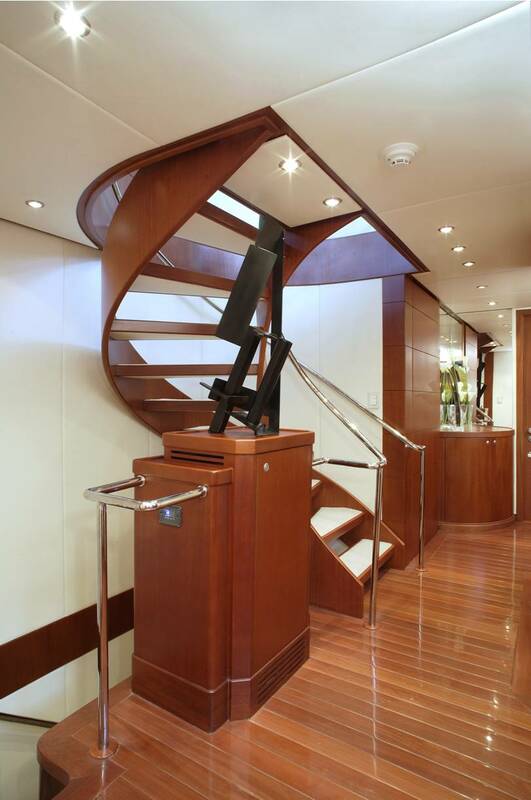 She has a simple and contemporary interior design, featuring clean lines by her interior designer Michael Kirschstein and her naval architecture was done by Bray Yacht. 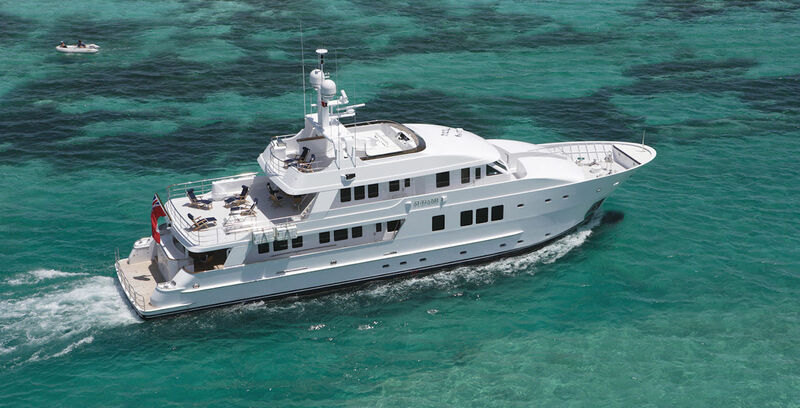 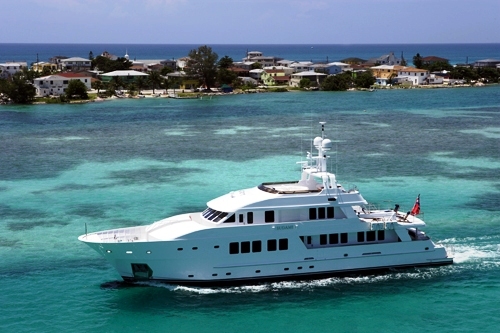 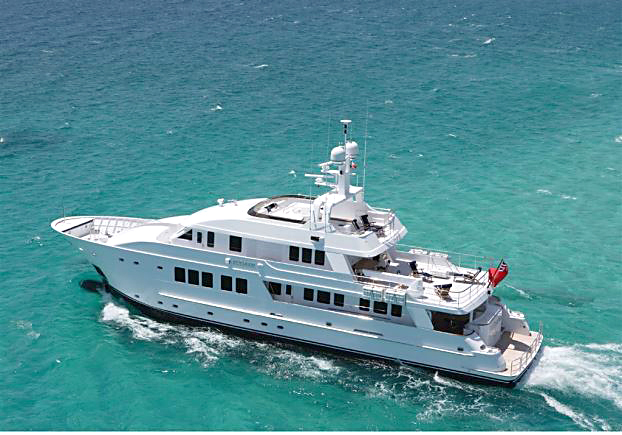 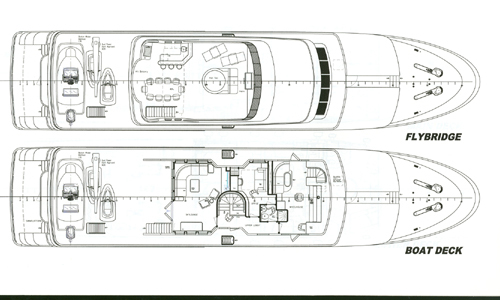 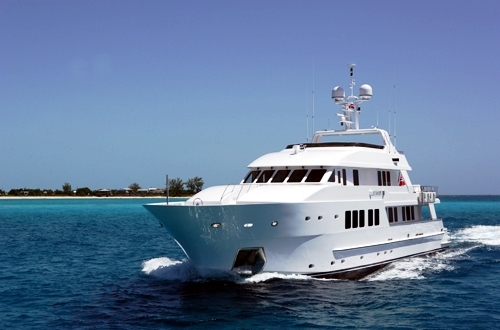 She is able to accommodate up to 10 charter guests in 5 cabins: 3 Double and 2 Twins. 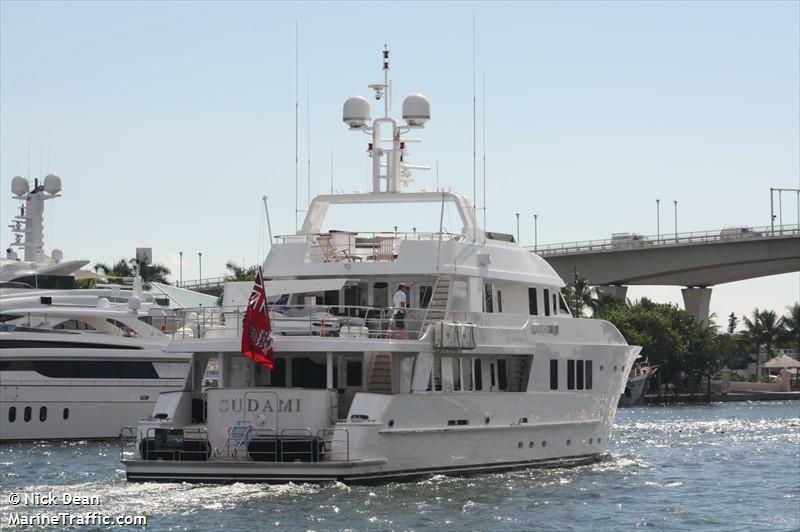 SUDAMI'S NOTABLE FEATURES: Spa pool ~ Great selection of water toys ~ Lots of space for relaxation and entertainment ~ Private office with day bed ~ Nicely equipped Sky lounge and sun deck. 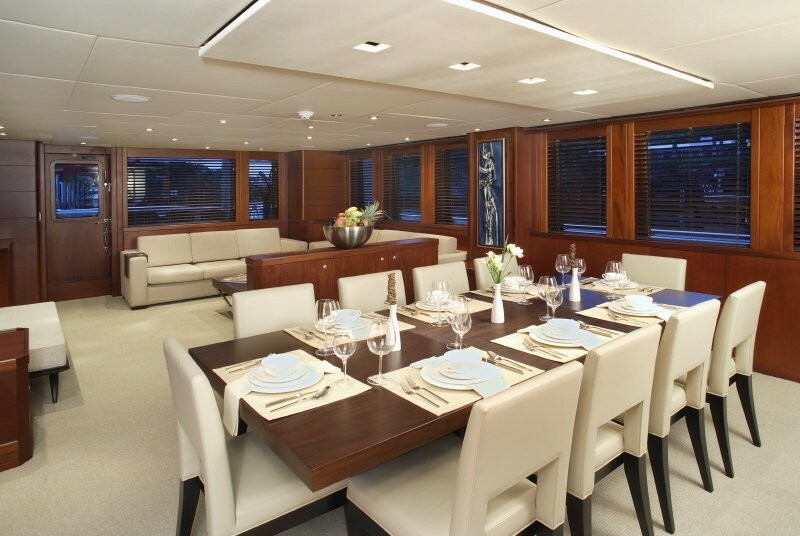 SUDUMI boasts a stylish main salon and adjoining dining area on the main deck that features large windows offering natural light and excellent views, framed with mahogany woodwork. 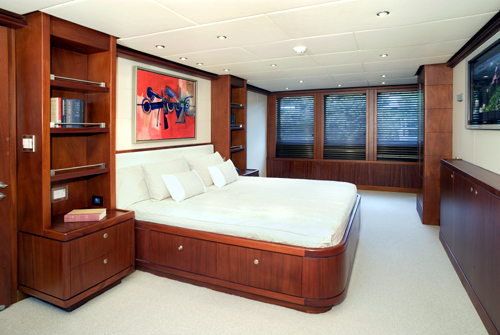 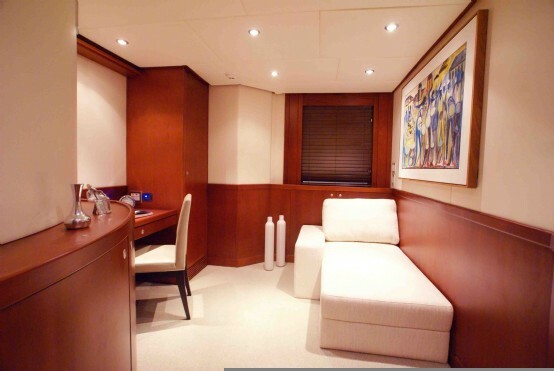 The main salon offers an inviting sofa area to port and a fridge / bar area to the starboard. 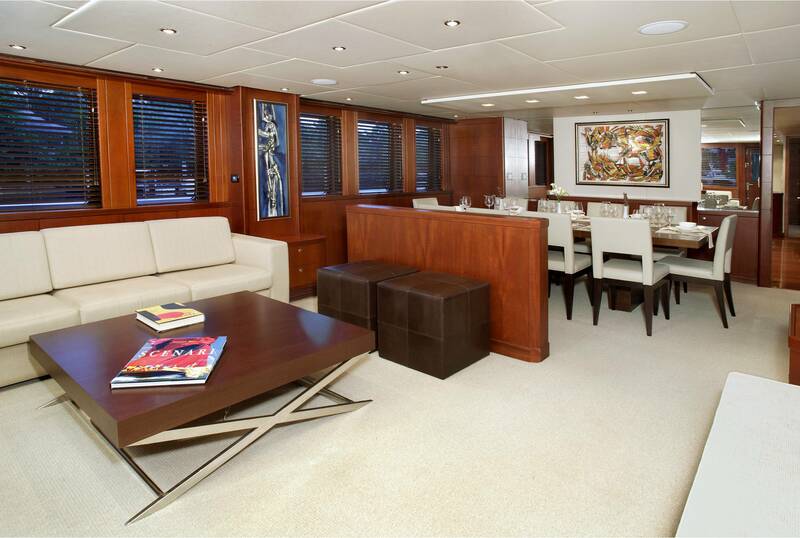 A low mahogany cabinet separates the lounging area from the dining area with leather dining chairs. 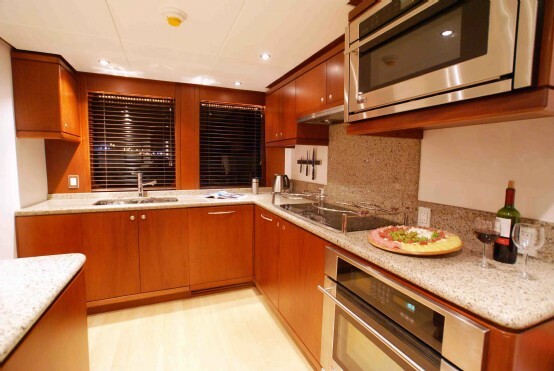 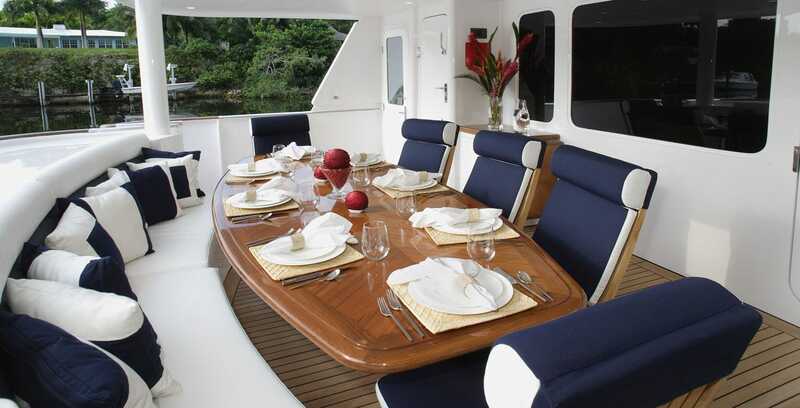 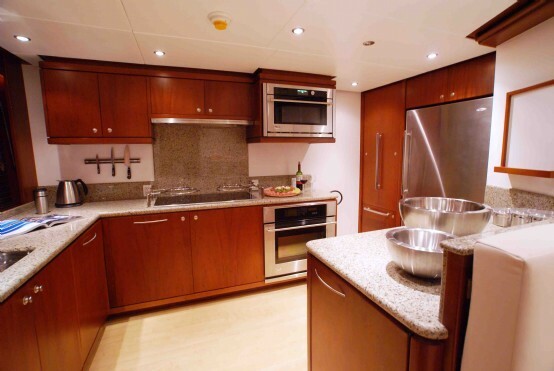 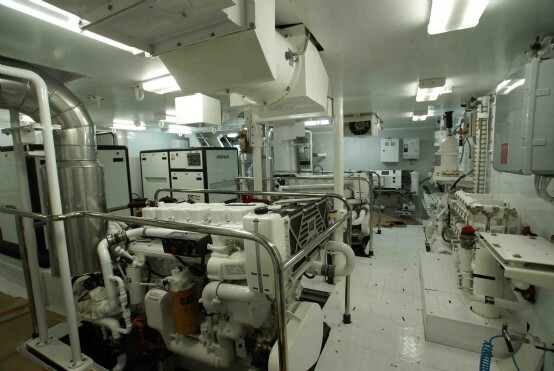 Her well equipped galley is forward of the dining enabling efficient service. 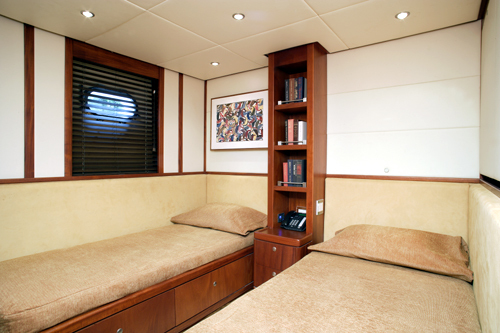 There is also an office with a comfortable day bed and private desk on the upper deck which is located between the wheelhouse and sky lounge. 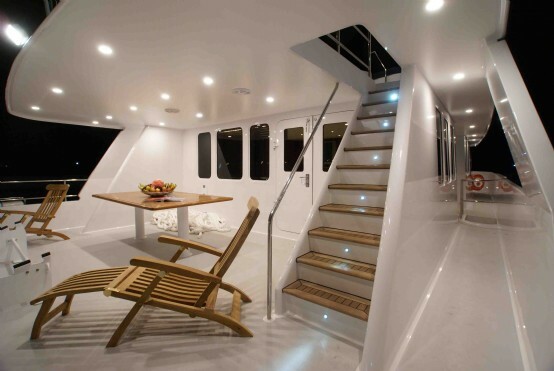 This space can also be used for yoga, meditation or light exercise. 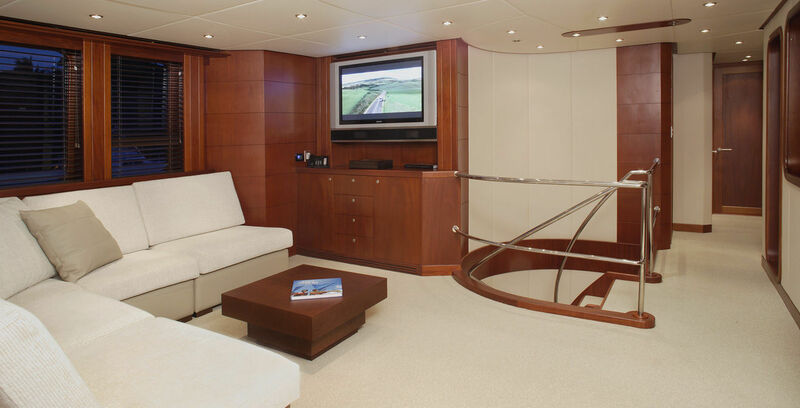 Her sky lounge offers an inviting couch area with large flat screen Satellite TV and entertainment system and a full service bar and fridge. 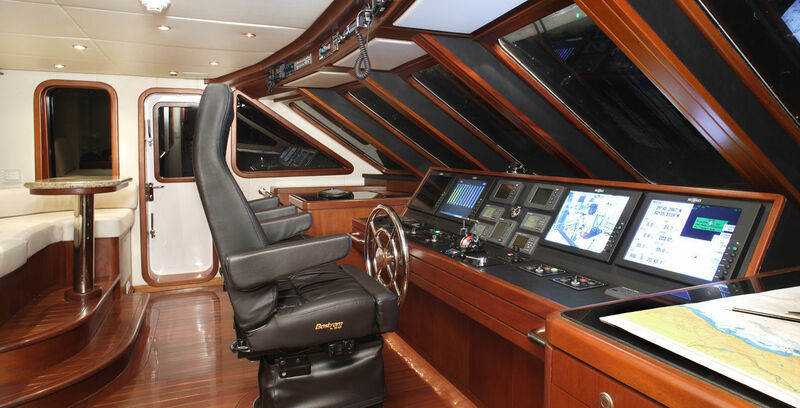 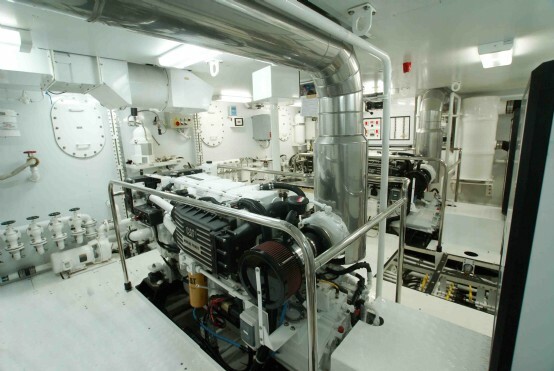 The yachts wheelhouse which is also on this level has state of the art navigation and electronics and two pedestal leather helm chairs. 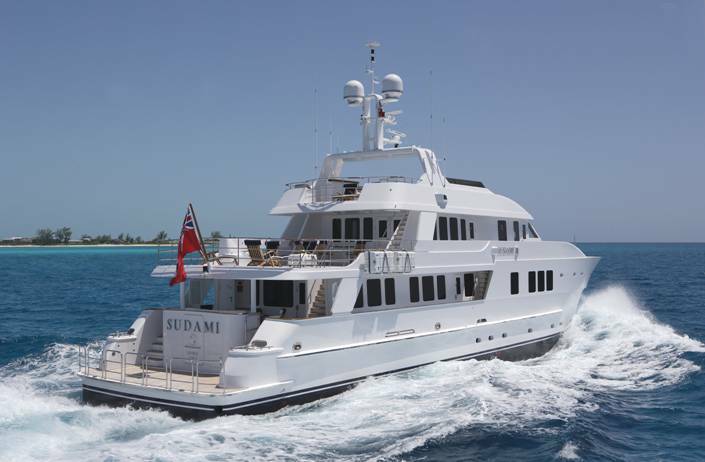 SUDAMI'S external areas are equally impressive and include her main deck aft with protected dining for 10 (a favourite for breakfast service), and her sundeck which is accessed from an external staircase leading up from the boat deck. 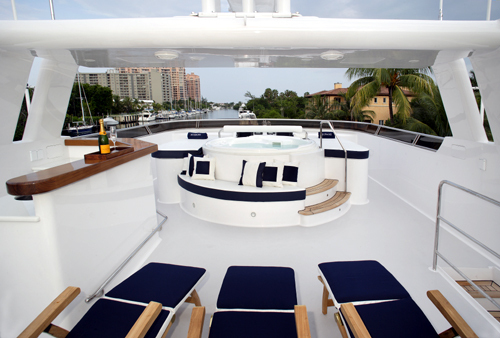 The sundeck boasts a 6 person Spa Pool surrounded by large sun beds and lounge chairs. 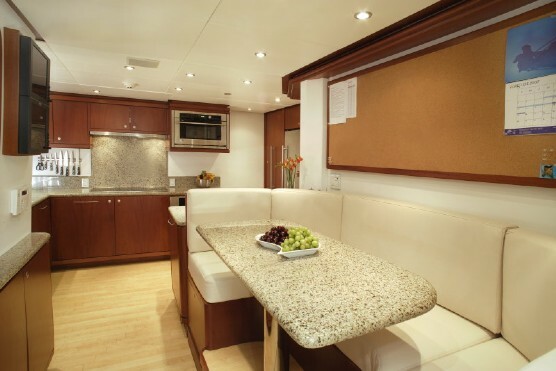 An optional sun shade can be erected if required and a full service bar with BBQ, fridge and ice-maker is the best place to enjoy a pre dinner cocktail. 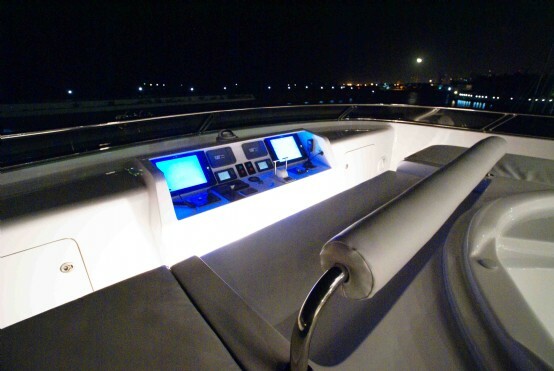 The outside helm station is forward of this area. 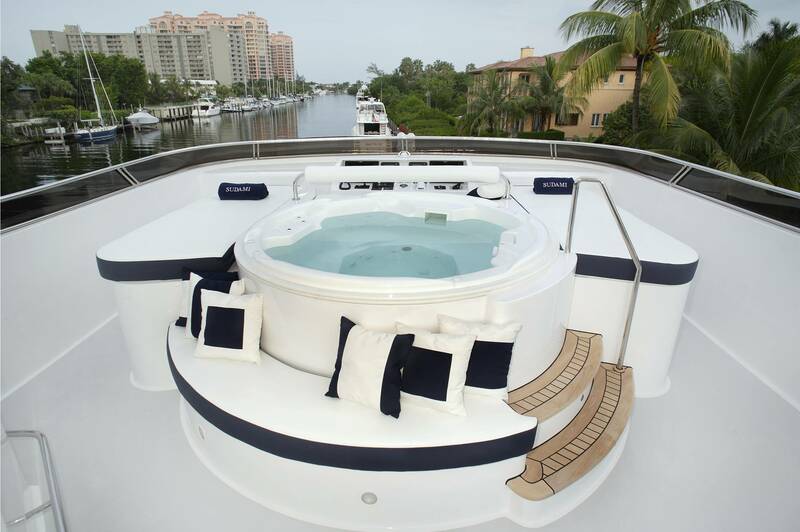 When the tender and toys are removed from the boat deck aft of the sky lounge, there is an extra area for guest s to enjoy the spectacular views. 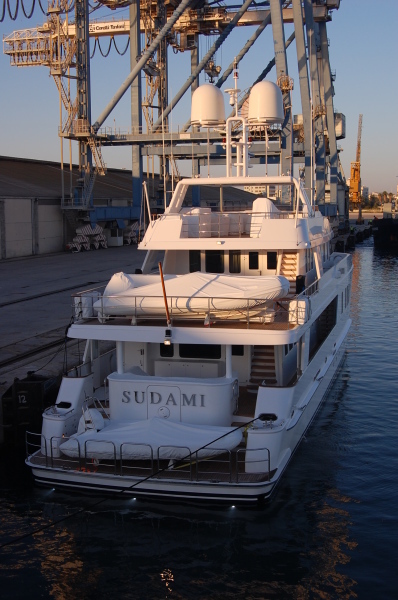 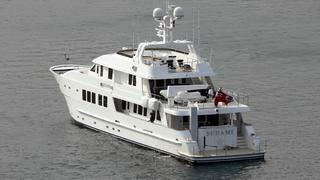 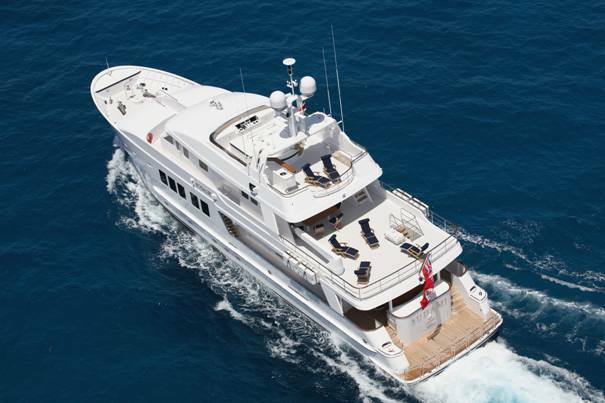 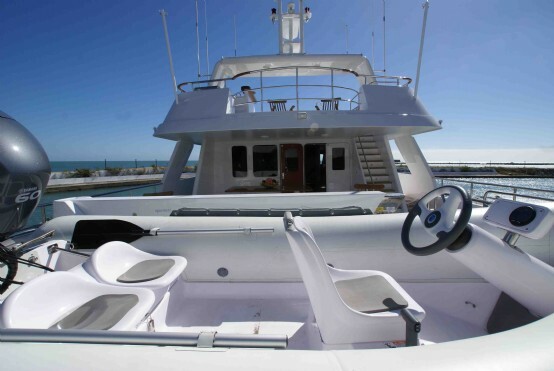 Motor yacht SUDAMI also offers a large swim platform for access to the water and water sport toys. 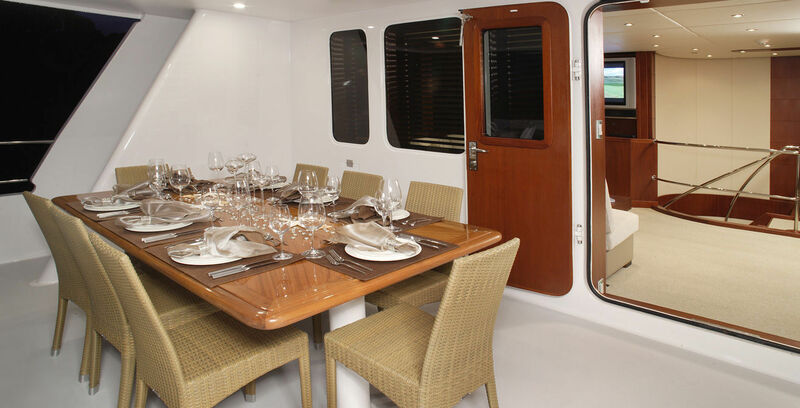 SUDAMI can accommodate up to 10 guests in 5 staterooms. 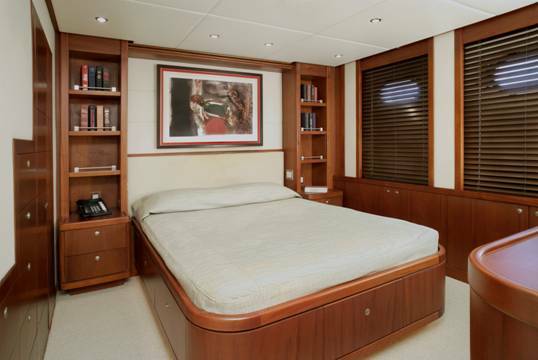 Her master cabin is full width of the beam with a King bed and is located on the main deck forward of the main saloon and dining areas. 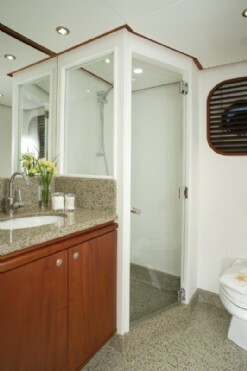 This suite offers complete privacy with a private lobby area with a fridge and tea and coffee making facilities. 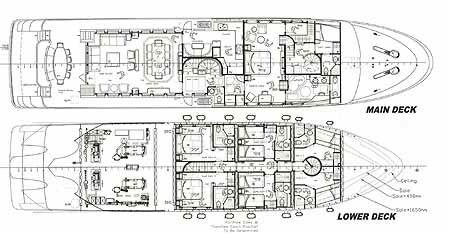 The spacious cabin has a full walk in wardrobe and a large ensuite with makeup dresser, a separate toilet and bidet, his and her wash basins. 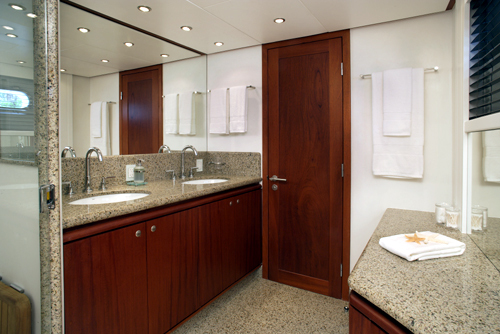 The remaining guest cabins are situated on the lower deck and are accessed from the guest lobby and include two queen cabins port and aft and two identical Twin cabins with Pullman berth. 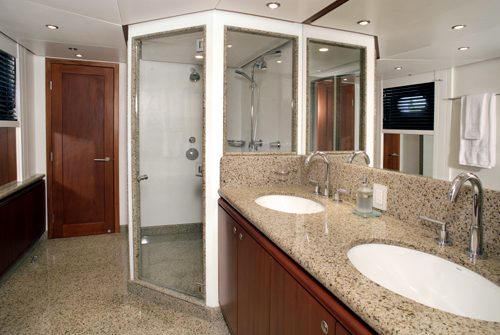 All of SUDAMI’s cabins boast mahogany finishes and have distinctive Brazilian granite en-suite bathrooms. 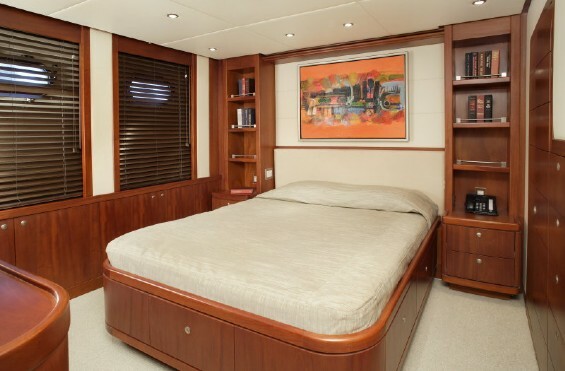 Each stateroom has a flatscreen TV. 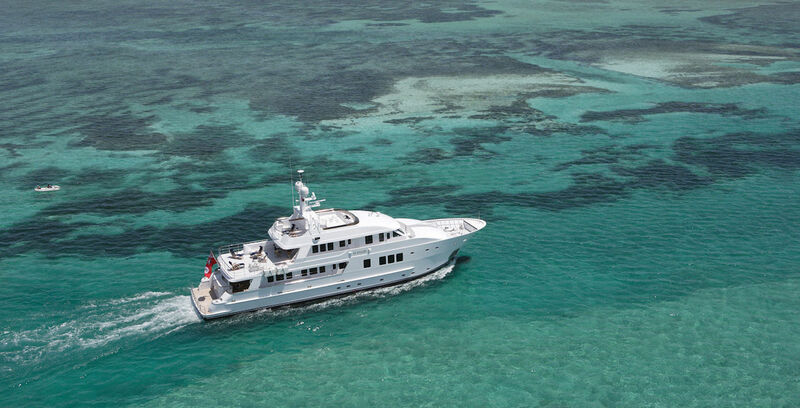 M/Y SUDAMI has the following extra amenities, tenders and toys: A 19ft Boston Whaler, a 15ft RIB Flex-boat tender, a wave runner, windsurfing equipment, 2 kayaks, water skis, wake board, a banana, towables, snorkelling gear, fishing gear and a water trampoline. 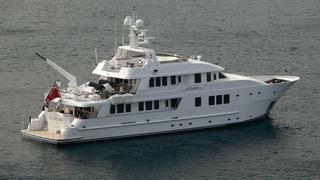 Her Communications include Fleet 77, Cellular phone, and she has Satellite TV and 4 receivers.